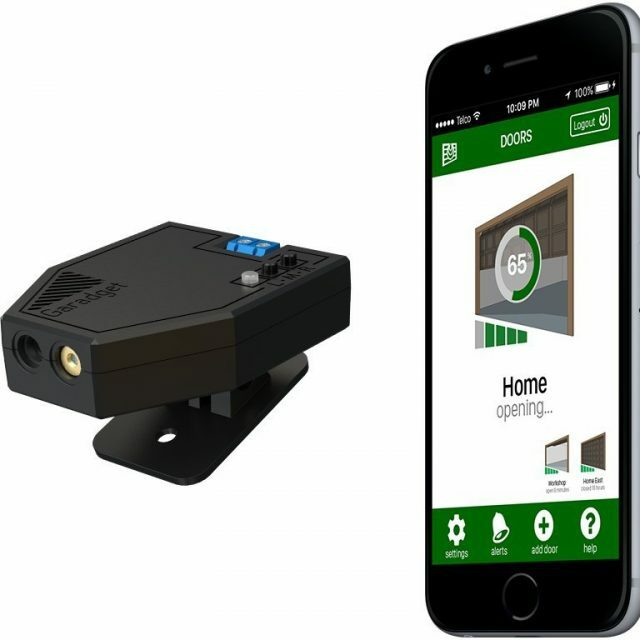 Controlling and monitoring your garage door remotely (or even at home), without changing your existing garage door opener, never got simpler and affordable with this simple, feature-packed device. 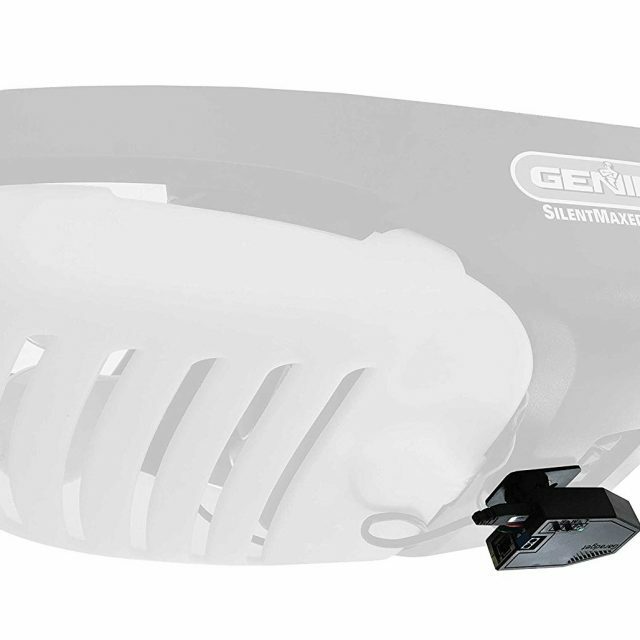 Managing, monitoring and controlling your garage door opener can be a chore. How many times have you (the Missy or the Hubby), or the kids, left the garage door open while in a hurry? And how often have you had to return home simply because you were in doubt, whether or not, you closed the garage door? Now you don’t have to worry. With Garadget (Get it? Garage Gadget), you can control and monitor your existing garage door from anywhere, any time! The Garadget Smart Garage Door Controller is a very simple, but effective device, measuring 6.5 x 5 x 3.5 inches. It is equipped with a Cortex M3 processor and runs as an open source product. 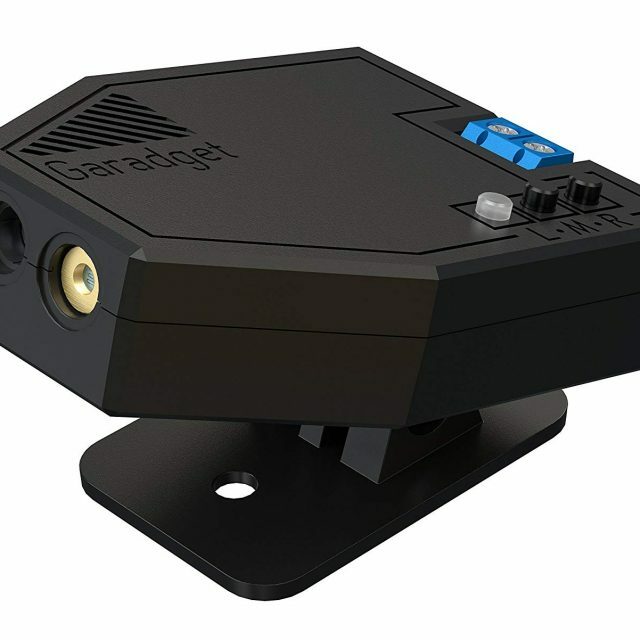 The Garadget can be installed and setup within 20 – 30 minutes with any new or existing garage door opener. Set up instructions are very easy and straight-forward with no excessive or long wiring needed to get the device up and running. 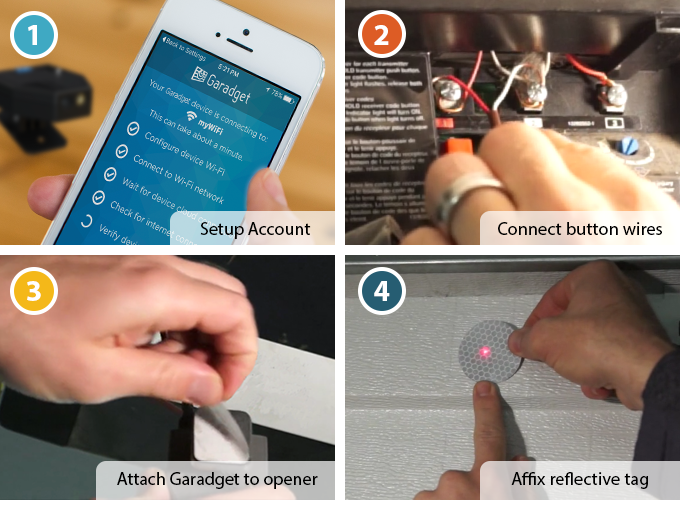 With the exception of Security+ 2.0 garage door openers (with yellow “learn” button), Garadget is compatible with most garage door openers. 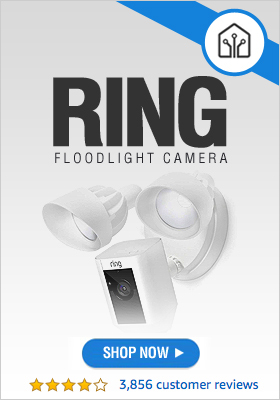 The device is equipped with laser light and works by probing a reflective patch affixed on the garage door. It receives commands from you through its app on your smartphone and reports the status of your garage door through your home router. There is no additional router configuration required to connect Garadget to your home Wi-Fi. It weighs 7 ounces, measures 6.5 x 5 x 3.5 inches, and runs on 110 volts. The Garadget is available on Amazon at an affordable cost of just around $130. Get Your Garadget Smart Garage Control Now! • Download, install and run the app on your smartphone and follow setup instructions. 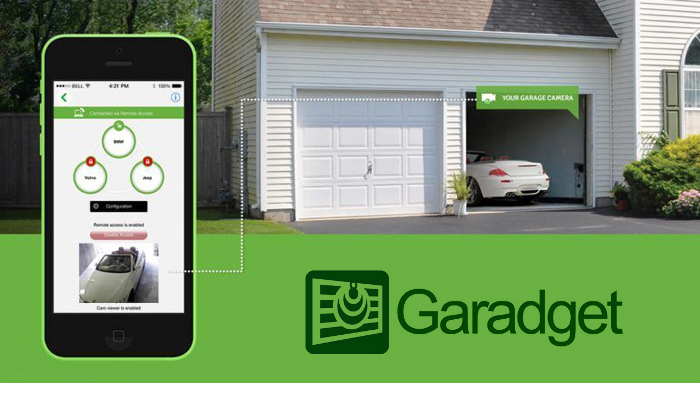 App Control/Convenience: You can monitor and control your garage door from the Garadget app on your smartphone (Android or iOS), smart home devices, web browser, or other smart and compatible devices. A controller is required for each garage door opener but you can manage multiple Garadget units from a single account. You can also operate the account remotely from a number of multiple devices. The device comes with a number of preset defaults. However, from its Settings menu in the app, users can change some of these settings such as renaming the door, notifications and alerts defaults, and others. Compatibility: You can use the Garadget with most garage door openers except Security+ 2.0 garage door openers that require the use of a spare native remote. Advanced Security: To ensure the security and safety of your garage door, advanced authentication and encryption protocols, similar to those used by banking and financial institutions, have been employed in the Garadget. This provides you with a high level of security against being hacked. Multiple integration Options: Garadget can connect to and be controlled from authorized and authenticated smartphones, computers, and tablets. 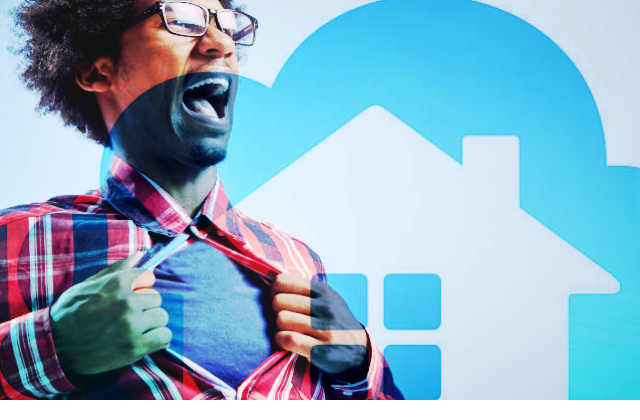 But, in addition to those, it can also be controlled from a wider list of smart home devices, wearables, voice control systems and integration services (such as Androidwear, Home Seer, IFTTT, SmartThings, OpenHab, Home Assistant, Vera, Pebble, and Alexa/Echo). Despite this wide integration options, the security of your home is not compromised in any way. Notifications and Alerts: You can check the status of your garage door from the app anytime, anywhere. In addition, you will receive notifications and alerts on your phone should your garage door be opened at odd times, if you forgot to close it on departure, or left it open for too long. The app also provides you with a history of events of your garage door. So, for example, you can check the last time your garage door was opened. Zero Maintenance: Once installed, setup and working, you can just forget about the Garadget. It comes to work and requires no user maintenance of any sort. It does not use batteries and there are no sensors involved. Expandability: Garadget comes with a powerful computer processor enabling it to receive firmware updates through Wi-Fi. It also has a hardware extension port. Support Resources: Your user account gives you membership and access to a wide and experienced online community of users. The Support Team listens to your feedback and provides new features, apps, and plug-ins as needed. These are introduced and discussed as they are available through the online community. Life should become easier, not complicated. And that is exactly what the Garadget gives with its simple yet useful features. With its high compatibility and a wide range of integration options, we have no qualms recommending this device to you to not only ease but more importantly, put your mind at rest as far as your garage doors are concerned. 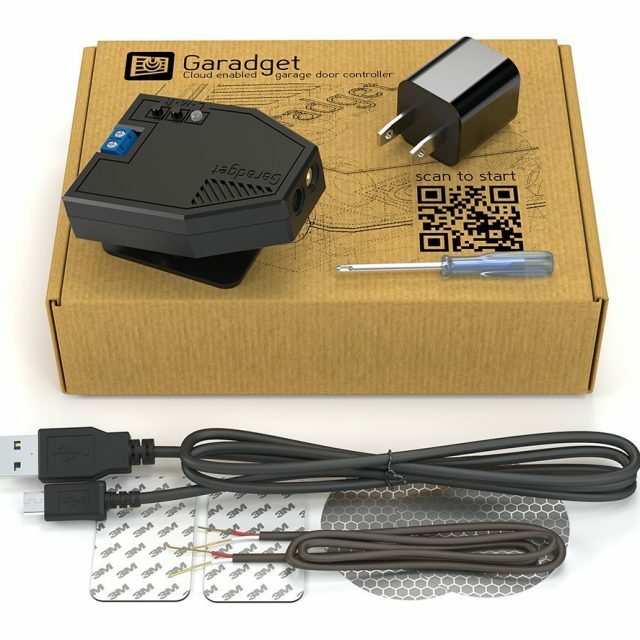 Get Your Garadget Smart Garage Door Controller Now!